Stock # 11456, 3.6L V6 DOHC 24V, 9-Speed Automatic, 1660 mi. 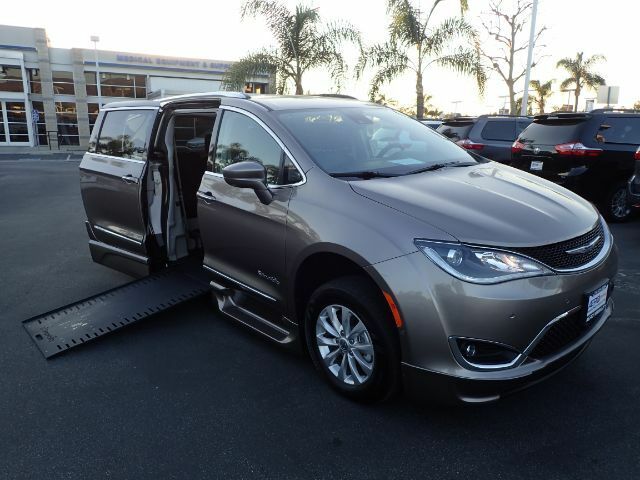 Ideal for larger or taller chairs, the 2018 Chrysler Pacifica conversion by BraunAbility boasts over 55" of doorway height, 1,000 lbs. ramp capacity, and a 32.25" side-entry, automatic infloor ramp. Looking for family entertainment? Enjoy dual seatback video screens and the Uconnect 8.4 package. Protect your investment with a security alarm, remote start system, and backup camera features.